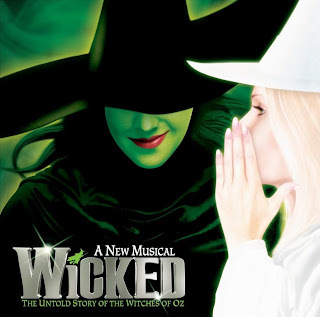 Wicked the Musical has recently celebrated its fifth birthday in the West End, the show has proven very popular with musical theatre fans as they continue to sustain a very strong fan base who remain dedicated to the show and support it constantly. I have reviewed this show twice before, but I recently saw the show with the new cast. A lot of the cast have left the show since I last saw it, so I wasinterested to be invited back to check them out. Rachel Tucker has remained with the production since coming into the company in March 2010; ever since she first started she has just got better and better. She is as strong as she has ever been. What I love about Tucker's interpretation of Elphaba is that she understands the role, a lot of the portrayals I have seen have been based around the singing aspect of the role and the actress's I've seen don't have that much depth in their Elphaba, where as Rachel's does. Her rendition of Defying Gravity and No Good Deed was the best I have ever heard; her voice fills the theatre and is delightful while having an edge to it which gives you shivers down your spine. Her chemistry with Gina Beck (Glinda) was also wonderful; they have had some time to settle in since they have started and their characters definitely work amazingly together and have a certain connection which hasn't been portrayed like that before. Gina Beck plays a fresh Glinda, her voice is pure and a wonder to the ears. Glinda's comedic parts in the show were done incredibly by her and she picked up on everything, in my opinion she is the only Glinda in the London production that has actually paid attention to who Glinda actually is, rather than focus on what happens to her on her journey in the show. She had a great presence as Glinda and her journey through the show also really contributed to her interpretation of the role. Matt Willis played a good Fiyero; he plays it different to any other Actor who has played it before. His voice isn't that strong but his passion for Elphaba comes through remarkably, his younger Fiyero was arrogant but also caring and not such a mean character, but a cool lad. Julie Legrand has also been with the company since March 2010, although I appreciate her portrayal as Madame Morrible, she plays it too pantomime for me. Desmond Barrit returns to the role of The Wizard after last performing the role in 2009 and he plays a good Wizard, nothing special but nothing I didn't like about him, however he does make the role seem a lot smaller in the musical than it actually is. Lillie Flynn's Nessarose was fantastic, her voice was brilliant and fitted the role perfectly and her transition from Young Nessarose to older Nessarose was obvious, her character development was remarkable. Adam Pettigrew was a cute Boq, definitely one of the best Boq's in Wicked History. He had a lovely vulnerability to him but he didn't play it as a desperate character, which I loved! Christopher Howell played Doctor Dillamond well; he also played a very vulnerable version of the character as well as having the side of the strong personality there as well. The ensemble of the show are amazing, one of the best in the West End I'd say. All members of the ensemble were brilliant in their own right, with a special mention for Chlöe Hart, Alex Louise Bird, Sophie Carmen-Jones, Paulo Teixeira and Oliver Watton. The show is brilliant; it remains to be a West End favourite and is still, after five years, astounding audiences. This cast in particular are astonishing, very talented bunch of people. If there's one show you see this year, I would recommend this one.